Brightly colored stripes multiply in rhythmic repetitions across the surface of a painting by Gene Davis. Remarkably original when they first appeared in the 1960s, these paintings became the signature expression for one of the leading Color Field painters. With no more than a rectangular canvas and multicolor stripes, Davis created a richly varied body of work that looks as fresh today as it did when it first was shown. 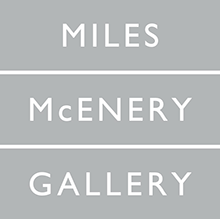 The large size of most of his canvases from the 1960s requires a viewer to consider the relationships and rhythms over time, more like a musical composition than the dynamic, colorful, pop art images that emerged at the same time. 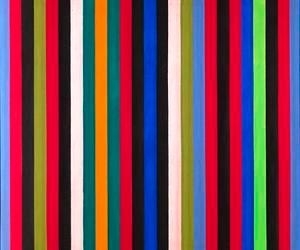 This selection of fifteen classic stripe paintings by Gene Davis from the 1960s reveals the ambitious vision and accomplishment of one of Washington, D.C.’s outstanding visual artists. A number of the paintings are nearly 20-feet-wide—including Dr. Peppercorn, Raspberry Icicle, and Red Witch—and have not been seen publicly in decades due to their huge size. Commentaries about the artworks will be written by Jean Lawlor Cohen, consulting curator for the exhibition and long-time friend of the artist. Virginia Mecklenburg, chief curator, and Joann Moser, former deputy chief curator, selected the artworks on display. Credit	Gene Davis: Hot Beat is organized by the Smithsonian American Art Museum with generous support from the Joanne and Richard Brodie Exhibitions Endowment, Gene Davis Memorial Fund, James F. Dicke Family Endowment, Tania and Tom Evans Curatorial Endowment, and YARES ART, New York, Palm Springs, Santa Fe.